Goodreads Summary: Reminiscent of the Elizabeth Smart case, Pretty Girl-13 is a disturbing and powerful psychological mystery about a girl who must piece together the story of her kidnapping and captivity. Liz Coley's alarming and fascinating psychological mystery is a disturbing - and ultimately empowering page-turner about accepting our whole selves, and the healing power of courage, hope, and love. I don't read thrillers often, but the combination of mystery and psychological elements in this one sounded like a promising read. One night I picked it up, expecting to read a bit before bed, and the next thing I knew, it was the wee hours of the morning and I had finished the book. Pretty Girl-13 is not a book to approach lightly; it is not as graphic as it could be, but the subject matter and events are certainly intense and at times twisted. Thirteen-year-old Angela Chapman went to a Girl Scout campout...and never came back. Nobody knew what happened to her. But three years later, she shows up at her house with no memories from the time she's been missing. However, these memories aren't gone, but hidden by alters - fragmented identities her mind created to deal with the trauma. With a therapist, Angie works to discover what really happened in the past three years while also struggling to readjust to her "old" life. Her friends have changed, her crush has changed, even her parents have changed, and somehow she is expected to simply reassimilate. But her mind fragmented for a reason, and not all of the memories are easy to confront. Would she be better off not knowing after all? And if she does, will she ever be the same again? I have mixed feelings about this book. 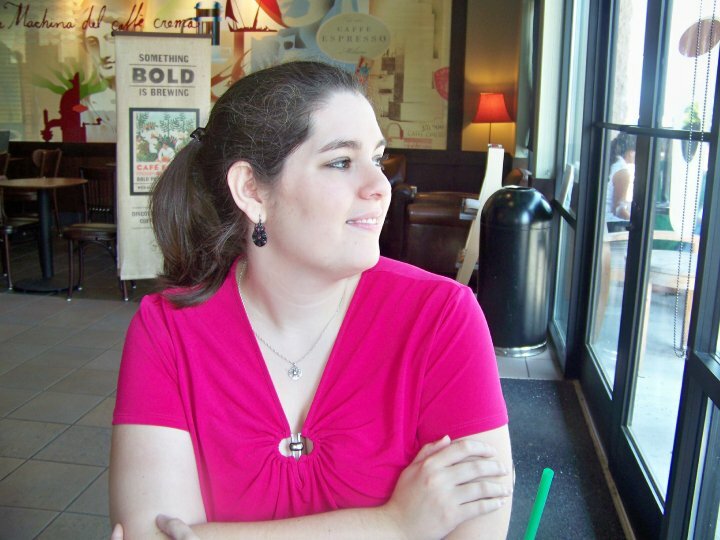 Overall, I found it fascinating to explore Angie's dissociative identity disorder. The various personalities were in fact incredibly different, and as I got to know each of them, I found myself caring about all of them just like any group of characters. The process of uncovering each of these alters was difficult, and I simultaneously needed to know all of the details from the past three years and dreaded what would be revealed next. However, this story is almost like two stories in one: uncovering the alters and Angie readjusting to her old life. The people she knew and loved were different, and she had to forge new paths for herself. Once she accepted that, she was willing to do so, which I appreciated. In some ways she was brave, befriending the outcast, standing up for what she felt she should do, and even being willing to apologize or walk away when the situation called for it. And in the midst of this, I was glad that Angie was able to find friends, and also that she got to know Abriam. He was wonderful, just the kind of boy you want, and the one that she needed. However, in some ways I also feel that this book didn't go far enough. Although Angie was strong at times, she was also spared some of the emotional trauma by not remembering what happened to her. Even though what she endured is something that nobody ever should, in some ways her suffering felt glossed over because it was not completely addressed. Even outside of what her alters remembered, there were things that Angie faced that I felt could have evoked a more emotional response in her. This book was definitely gripping, but the more I've thought about it since I read it, the more I wish that the book had dug deeper into the emotional side of things. 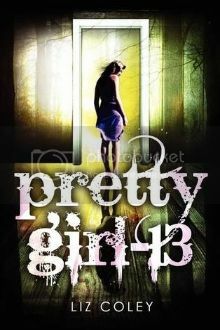 Despite wanting more, Pretty Girl-13 is one that summaries and analysis simply can't do justice. Rather, it has to be experienced, if you are in the mood for something dark like this. I will look forward to reading more from Liz Coley!